If you have an interesting website and would like to network with me - I'm open to guest blog post opportunities. I value your writing skill and, the last thing I want is to give the readers an impression that the backlink is the primary purpose your work. 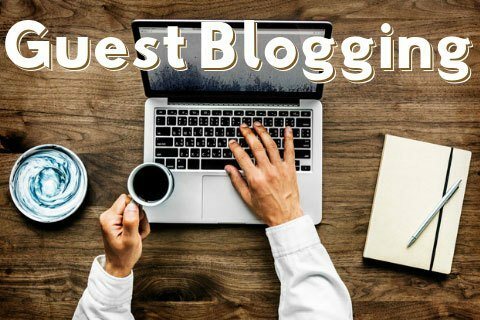 So I will not treat you as a 'guest writer'. The word guest will not appear anywhere in the page. Your author profile can either be visible or hidden as you wish. Your post will be advertised throughout the social media, particularly on Twitter every week for the next 3 months. Check the following quick guideline (I'll try to be as brief as I can!) If you think you can contribute a post, send me a message using the secure form at the bottom of this page! Here are the minimum requirements. If anything's unclear, don't hesitate to ask! Minimum 600 words (don't worry if slightly less, as long as the content's unique). One link to your site per 300 words (2 links to your site if you've written 600 words). Unless you have already, I may add a hyperlink to some authority sites, e.g. if your sentence reads "The video has been viewed over 2 million times on YouTube" in your article, I'll place a link "The video has been viewed over 2 million times on YouTube." Once your article has been published on this site, please do not reuse it elsewhere. If a duplicate content is found at a later date, I'll have to either delete the entire post or modify it and remove the backlink. Affiliate links (unlikely to be allowed by the affiliate T&C's). A product review that's already been appeared in this site. You can submit your article directly by email, or by word processing document such as Word or Pages. Images should be royalty free - if you don't have anything in mind, I will choose some. Video embedding welcome (YouTube or Vimeo). Button link can be placed upon request (I'll add it for you). As I mentioned earlier, I am open to any idea that's mutually beneficial. So if you want to let me know or have any small questions, I look forward to hearing from you. I'll get back to you by email as soon as I can (typically within 6 hours - 24 hours the latest).